Sitting in between the High Cecilia and BassoNobile models, the Cellini fuses an offbeat look with a beautifully clear sound performance for a blend of originality and high-calibre acoustics. Earn 30200 loyalty points when you order this item. 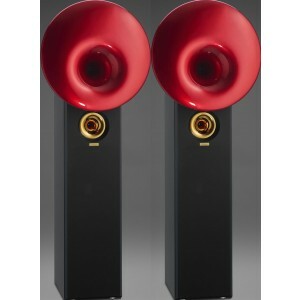 Acapella Cellini Speakers are a uniquely designed pair of floor standers that push the boundaries of speaker design. Sitting in between the High Cecilia and BassoNobile designs, the model showcases a cutting-edge spherical midrange that offers a beautifully open sound performance. 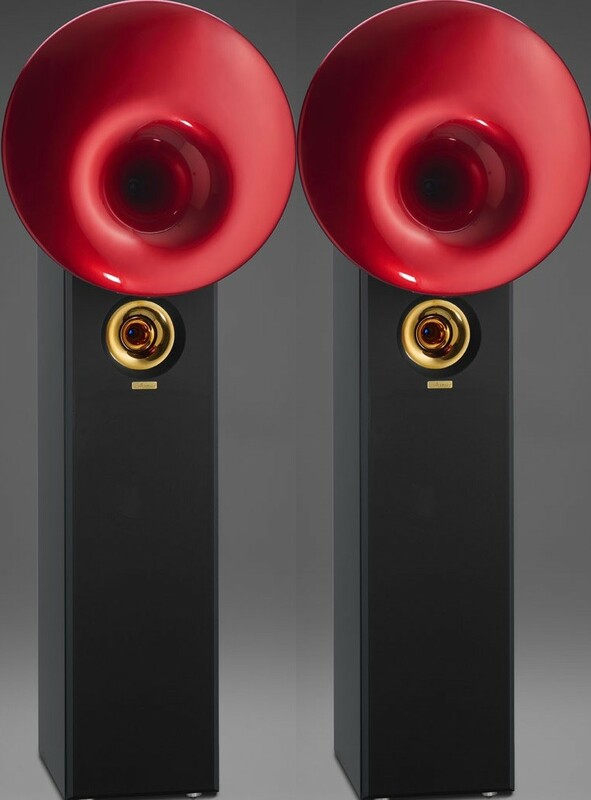 The hyperspherical midrange horn debuted in Acapella's Poseydon speakers. You can enjoy a brilliantly wide and clear sound thanks to the horn configuration. The Acapella Ion Tweeter TW 1 offers a superbly musical midrange. The Ion Tweeter and the spherical horn is supported by a sleek cabinet, while the complete design offers a beguilingly authentic sound performance.